Derrick Kosinski & Scott Yager are once again joined by the newly engaged Tony Raines. Normally we wouldn't have a guest on so soon after their last appearance. Unless they're Cara Maria. Just kidding. But in all seriousness, Tony popped the biggest question of his life when he proposed to his then girlfriend, now fiancé, Alyssa Giacone, at The Final Reckoning Reunion. Now, this was taped back in October, but since it hadn't aired, the last time Tony was on the show, he was ... See More hesitant to go into detail and ruin the moment we all enjoyed collectively on Tuesday night, closing out what was an otherwise hectic and heated reunion. Tony (@TonyRaines) returns to the show to tell Derrick (@DerrickMTV) and Scott (@SHOTOFYAGER) what went into the proposal, if he was nervous, whether it affected his demeanor during the rest of the show, his thoughts on how others acted, how he feels about Johnny Bananas and some of the ways in which he treats people, whether he and Alyssa would be open to a wedding special and MORE! Plus, Tony finally speaks about the elimination that sent he and Johnny home just one challenge short of the Final for a million dollars. This is a podcast you do not want to miss. It is Tony Time once again! Check out his store at www.TonyTime.Store and remember to check out www.ChallengeMania.Shop for our gear. FREE SHIPPING over $45 until 12/12. Poshmark is giving listeners $5 off their first purchase. Just use the referral code CHALLENGEMANIA when using their app. 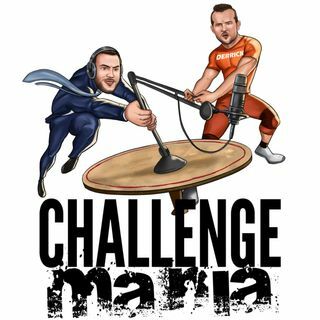 If you're craving even MORE Challenge Mania, we do bonus podcasts for our patrons over at www.Patreon.com/ChallengeMania - Being a patron is also the only way you get to participate in voting for our first ever Challenge Mania Awards! Congratulations to Tony! So happy for him and Alyssa! He is truly the future of the Challenge to help carry the legacy of this franchise on!